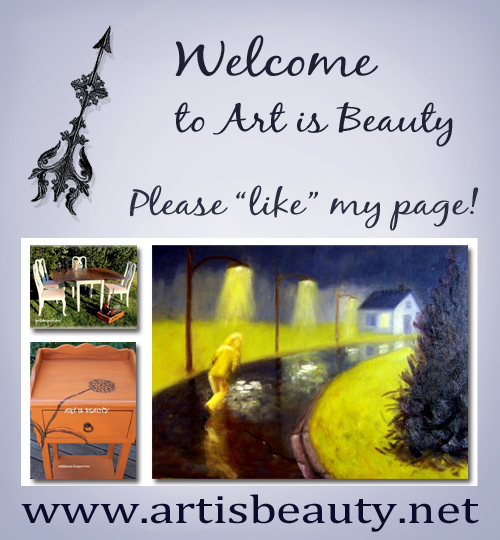 ART IS BEAUTY: My new Blog Design and Facebook Design!! My new Blog Design and Facebook Design!! No I have not colored my hair! Can't you see those grays poking through???? 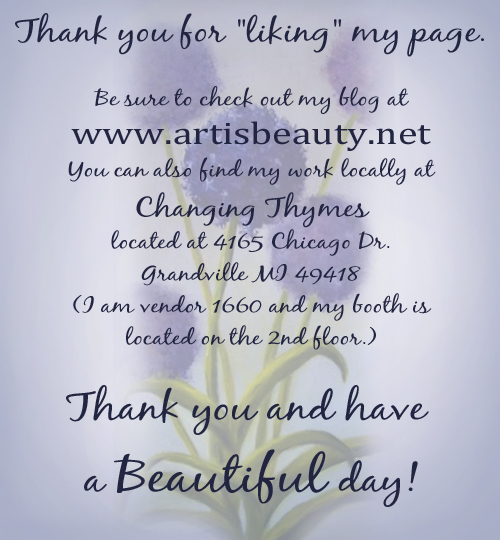 I got a new BLOG design!! I also got a new FACEBOOK design, with a LANDING PAGE (didn't even know what that was until about a week ago) and a WELCOME PAGE when you "LIKE" my facebook page! Now I know this is a DIY blog, but I had to swallow my pride and ask for help. I was trying to do this myself, like most things; but my Dad and my hubby's voice kept popping in my head..."jack of all trades-master of none"........ :) I know I probably could do it myself......EVENTUALLY.....but it NEVER would have turned out as BEAUTIFUL as this!!! So I put out an A.P.B. on Facebook and SOPHIA PHOTOGRAPHY & GRAPHIC DESIGN came to the rescue!!! I have known her since Kindergarten so it was really neat to have an old friend offer to do this. You will not be disappointed!!! You will not believe what she did with my stuff. They are amazing!!! SOPHIA PHOTOGRAPHY & GRAPHIC DESIGN did all of these for me. She made it so easy for me. I didn't cry or anything! I emailed her all the photos and she used her magic to meld them all together into something BEAUTIFUL. Here is an example of just her Photography!! Stunning!!!!!!!!!!!!!!!! So make sure you head on over to here Facebook Page HERE and tell her what an absolute amazing job she does!!! So Thankful for such an amazing job!! Sure did notice! YOWSERS! Nice job she did! Lovely! Congrats on a new do! !